Calechosa is being developed by a group of seven partners including three university or college teachers from Vancouver, a retired Air Canada captain, a Los Angeles filmmaker, a local Mexican contractor and a local architect. 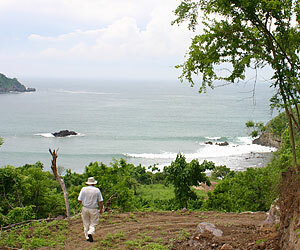 The partners have their own lots, and most of them plan to build houses at Calechosa. Construction will begin on the first houses in October 2007.